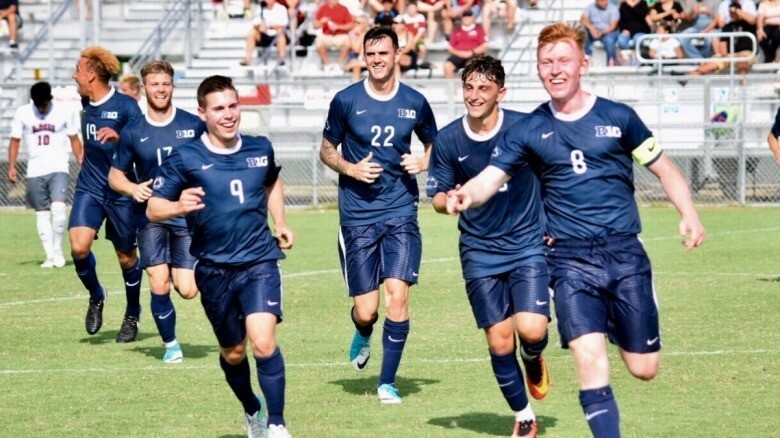 Join the Pennsylvania State University Men’s Soccer ID Camp. It is a full-day soccer identification clinic on the 5th of August. It is inviting all male soccer players who want to take their game to the level. This identification camp will provide the participants a preview of the demands of playing at the collegiate level. Furthermore, the training program will polish the players’ technical and tactical capabilities. It includes drills on perfecting attacking, dribbling, passing, heading, and defending skills. The program also incorporates scrimmages. Moreover, this soccer identification camp will take place at the Jeffrey Practice Fields in Pennsylvania State University campus. It is for both field players and goalkeepers. Pennsylvania State University is a public, coeducational, land-grant, sea-grant, space-grant university in State College, Pennsylvania. It is a member of the Big Ten Academic Alliance. The university is also part of the Oak Ridge Associated Universities and the Association of Public and Land-grant Universities. Additionally, Pennsylvania State University as a whole has an accreditation from the Middle States Commission on Higher Education. It is offering more than 160 major academic programs. Currently, the university is serving around 84,700 undergraduate students and around 14,500 postgraduate students. It is one of the nation’s largest universities. Pennsylvania State University is also a top-tier academic institution. In fact, it is 52nd in National Universities 2018 Best Colleges rankings. In sports, the university is competing in the NCAA Division I Big 10 Conference as the Nittany Lions. Bob Warming is the head coach of the Penn State Nittany Lions men’s soccer program. He is a 2-time National Coach of the Year awardee. Coach Bob Warming is also a 2-time Big Ten Coach of the Year awardee. Ultimately, he is an inductee in both the Omaha Sports Hall of Fame and the Creighton Sports Hall of Fame. Then, the Nittany Lions men’s soccer associate head coach is Chad Duernberger. And finally, Owen Griffith is the team’s assistant coach. Join the Pennsylvania State University Men's Soccer ID Camp. It provides a preview of the demands of playing at the collegiate level.